I am not really sure if they are or they are not. Whilst I make up my mind, Erik Bork has something to say about it in Screenwriting Competitions — Are They A Good Idea? 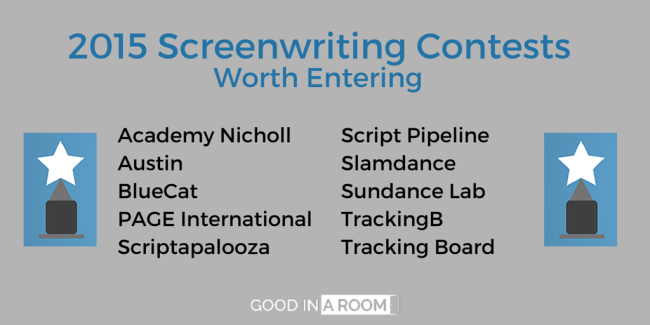 Just in case, here you have a comprehensive well made list of the Top 10 Screenwriting Contests Worth Entering. Thanks to Goodinaroom.com! This entry was posted in LINKS on screenwriting, SCREENWRITING and tagged contests, Erik Bork, Flyingwrestler.com, Goodinaroom, Screenwriting competitions, Script contests, Top 10 script contests. Bookmark the permalink.